The first series are about brushes and shapes you won’t find anywhere else. They were created to fill gaps in the Fude world and they will shine with specific products, tackle difficult textures or revive your interest for products that you were not enjoying anymore. 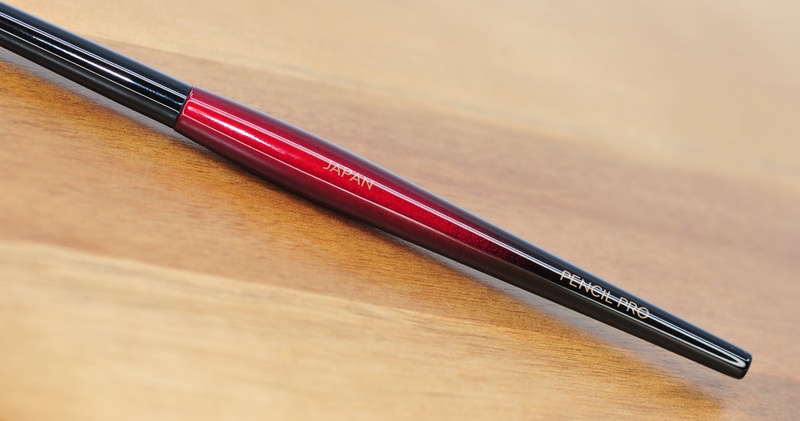 They are meant to cover functionalities that traditional brushes may not be able to. It’s more about picking the brush, or brushes, that will fit particular needs in order to complete your existing collection. These PRO series is my take on every day essentials, designed and refined for versatility, fast handling adoption and ultimate performance. 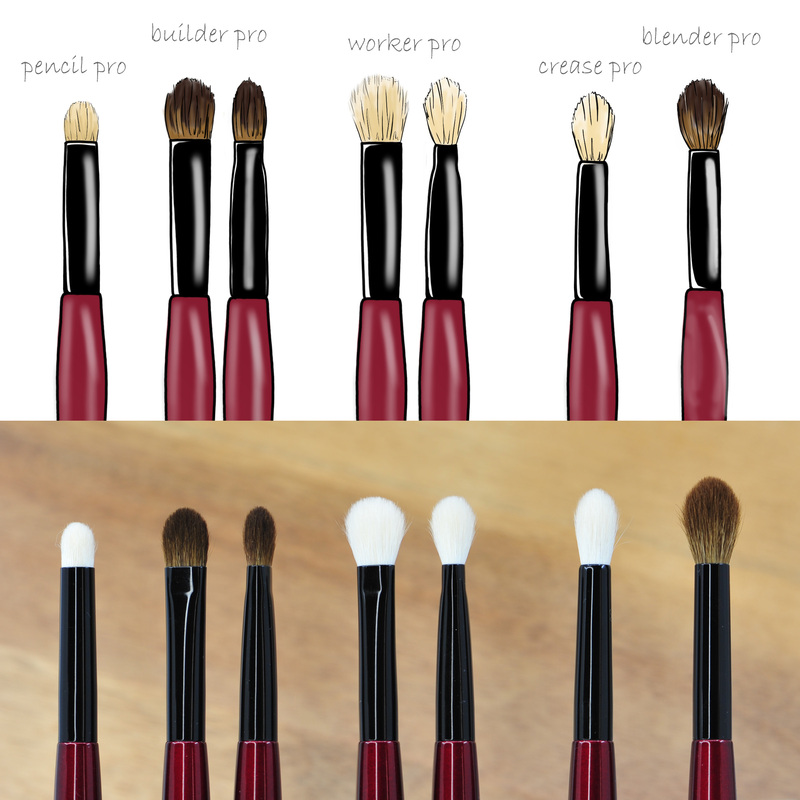 I wanted these PRO brushes to be the best workhorses in each category: Pencil, Builder, Worker, Crease and Blender; they’ll work across products easily, and they were also designed to complement each other like a team delivering results beyond expectations. I deeply admire make-up artists, I am in awe of how they can transform someone not only on the outside but also giving that boost of confidence and happiness that is so joyful and satisfying. When the make-up artists contact me because they want some advice on how to upgrade their kits to add Kumano hand-made brushes, I feel so incredibly proud and excited to assist! In Kumano there is a lot to chose from and it’s difficult to know how or where to start. With this in mind, I consolidated my thoughts and recommendations into these 5 brushes to make the most useful and versatile starter eye set handcrafted by the most talented Kumano artisans. They are the result of thorough research, focusing on efficiency and combining it with Japanese craftsmanship. I tried to come up with designs that would not exactly duplicate the essential brushes that we already had in our collection, they somehow differ but still remain true basics for any skill level. The handles on these PRO series have the same painting and same craftsmanship as the first series, they are equally complex to achieve but for this collection the handles are thinner and more lightweight, they are also the same length as the original and first series but there is a little change just for the PRO brushes because I could not print the logo at the bottom -they are too thin for that- so I have incorporated the symbol in my name. With the first collection the biggest challenge was to work with the artisans in order to create something completely different. With the PRO collection the effort was on perfecting a basic shape to the highest degree. I wanted each single brush of this set to be a workhorse in its category and that together they form a perfectly cohesive starter set.